Chu Gar is a lost art, almost. Few Masters remain and they have no interest to publicly teach this style. It is for this reason that I have considered to preserve and teach the basics of this rare martial art through books and video tape. Using the internet and tools of the future may help to preserve the teachings of the past. One of three branches of Southern Praying Mantis (Kwongsai, Chu, Iron Ox), Chu Gar is an internal style. It follows internal principles and it borrows the enemy's strength and uses it against them. The Mantis fist allows maneuverability in very quick action. It strikes in rapid succession without pulling back to a chambered position. Coupled with the internal spring power the Mantis hand becomes supple in defense and powerful in attack. Practitioners emulate the Mantis fighting posture by extending their hands forward, with the elbows slightly bent and tucked in close to protect the centerline–like the insect. The feet are separated slightly wider than shoulders’ width apart with the lead leg supporting most of the weight, while the slightly curved rear leg acts as strut. A single movement of the arm may contain several actions. Tactical operations of the hand include grappling, catching, holding, capturing, clasping with the forearms, slicing strikes with the knuckles, pressing with the elbow, sudden quick pushing with both hands, spearing with extended fingers, flicking of the hands in quick jabs, exploding fingers from the fists, jerking the arms, slicing and chopping with the edge of the palms, hooking and deflecting hands, elbow strokes, claw-like raking actions, and poking with the backs of the hands. 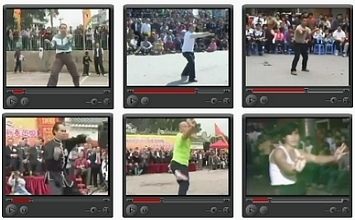 Many of the movements are simultaneously defensive and offensive. The feet, ankles, knees, and hips may mirror the hand movements. The renowned late Chu Gar Mantis teacher Cheng Wan was a kungfu cultural icon in Hong Kong until his passing at age 81 in 2009. Today we carry forward his heritage for another generation so that the future may see the efforts of his sixty year legacy bear fruit worldwide. Join us in the Chu Gar Mantis Cheng Wan Martial Art Association Hong Kong, and do your part to learn, preserve and promote this rare Chinese Boxing style! Enjoy a few hours of reading and study on this website now. We welcome your participation and correspondence. Email me direct by using the contact form above. Copyright © 2002-2018 RDH. Chu Gar Southern Praying Mantis Association. All rights reserved.